I don’t know if I’m late to the party, but I just got my first slow cooker. For months (or maybe years) I’ve heard people rave about how slow cookers can allow busy folks turn out a delicious meal just by throwing a bunch of ingredients into the slow cooker and letting it cook for hours. Could it really be that easy? Why yes, yes it can be. Before you start saying “Slow cookers? Those are so 1970’s,” let me tell you that slow cookers are actually IN, now. 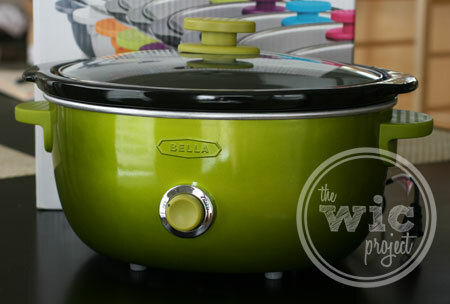 With such colorful and fun slow cookers like the new BELLA Dots Slow Cookers, I can see why. I’ve often wished there was an easier way to cook dinner. When I first heard about using a slow cooker to prepare dinners, I was amazed. The concept of being able to let everything simmer for hours while you went to work or ran errands or cleaned the house sounded too good to be true. So, of course, I had to give it a try. When it came to slow cookers, I wanted one that looked fun and “hip”, one that matched my style. I had visions of old slow cookers with these antiquated floral patterns on the side and knew that was definitely not what I wanted. Fortunately, the BELLA Dots Slow Cooker collection had the perfect solution. This new line of slow cookers are not only affordable, but also come in array of colors, so I could choose one that fit both my style and my kitchen’s style. It was a hard choice for me because I loved the vibrancy and clean design of each color. Pearl White? Purple? Grey? They all look wonderful, but I finally settled on green. Once I had my slow cooker, it was time to cook something. On the first night, I threw in some chicken thighs, brown sugar, and BBQ sauce and let it sit on low for four hours. On the second night, I lived on the edge a little and created an herb rub that I rubbed on some chicken and then let it cook on low through the day. One weekend I used it to brew up some amazing hot apple cider using apple cider and an array of spices. The chicken came out “falling off the bone,” moist, and flavorful. The cider came out perfectly with the spices infused into every sip. After using the BELLA Dots Slow Cooker for the past few weeks, I can honestly say that this slow cooker has changed my cooking life. The BELLA Dots Slow Cooker has three settings – low, high, and warm. So far I’ve cooked everything on low, to allow for optimal absorption of flavor. I really like that the stoneware cooking pot has a large capacity – I used all 6 quarts for the cider – and that it is dishwasher safe. The clear glass lid allowed me to peek at the food while it was cooking. I admittedly took the lid off a few times to get a good whiff of the food as it was cooking, but really, I think that’s got to be a given whenever you cook with a slow cooker, right? If you’re looking to start cooking with a slow cooker, or if you want to update your old one to a new and fun slow cooker that has personality, definitely consider the BELLA Dots Slow Cooker. This colorful collection of BELLA Dots Slow Cookers is available exclusively at Target for just $39.99. You can find it at a Target near you or purchase the BELLA Dots Slow Cooker online from Target.com. Fashion comes out of the closet and into the kitchen with the new BELLA Dots Collection from the makers of BELLA. Fashionable and affordable, the chic, colorful countertop appliances include a Six-Quart Slow Cooker, a 2-Slice Toaster and a 12-Cup Coffee Maker. Available in eight glossy colors (red, pink, blue, purple, grey, orange, green and pearl white), the premiere BELLA Dots Collection embraces a new generation by redefining ‘counter culture’ and proclaiming; this is not your mother’s kitchen. This giveaway is now closed. Congratulations to our winner, CherylS22! The blue and purple are really pretty! I like the green or silver one! I like the purple one!!! I like the “pink” and yes I cook with a slow-cooker and it’s the best gift you can give with a hand full of recipes.Thanks for this wonderful giveaway-love the colors and the style. Would love the grey one .I love to cook with slow cookers set and forget for several hours. I like the blue color! I do have one and use it all the time! I would like to give this one to my sister in law who just got married. I like the purple one. I cook often in my crockpot..things like chili, stew, meatballs, pork roast and roast chicken. love the purple! and i love cooking with a slow cooker..especially for hot soup in the winter! and yes I use a slow cooker often! I love the pink. I love to make soups and roasts. Well..I love the green cuz it matches my kitchen curtains! I like purple one and currently don’t have any slow cooker. The pink one is beautiful. I don’t have one but been wanting one for a while now. I’d like the pearl white. I would love to win a purple one! I would go with the red one…I dont currently cook much so I dont use a slow cooker-but I’d like to do more of it! I love the red one. Yes, I have a slow cooker, but if I win this my daughter will inherit the old one. I like the purple one. I cook with a slow cooker every chance I get. I love the green one, and I do have a small crock pot I use, but would love a bigger one! We do use a slow cooker, but mostly during Summer! I like the pink or grey one. Yes I use a slow cooker. I like the purple or hot pink. Actually, the crock pot I have been using for about fifteen years finally gave out. I certainly got my money’s worth! Red. I do not have a slow cooker. I would love the white or gray crock pot. I do own one that is getting old so I would love a new one. I would like the purple one! Red is my favorite, I have been without a slow cooker for several years. I use our slow cooker at least twice a week. Love to cook in it.. especially in the Winter. Our kitchen is black but I love the blue and it would really look great in our kitchen! i love using a slow cooker but hate the one i currently have. the purple is my favorite! I really like the pink bella and I would love to cook a pot roast in this. As much as I love that pink, I’d have to chose either the green or red. I do use a slow cooker. Some days it’s a real time saver. Yes, I haven 40 year old crock pot that is orange.mmI would love the green one. I love the pink one! I cook in a slow cooker about once a week! I like the green one. I like being able to put something on in the morning and done at dinner time. 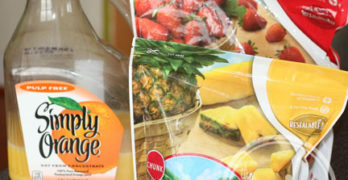 I would love the orange and I di cook with my old slow cooker. I would choose pink. I don’t currently have a slow cooker. I’ve been wanting one badly! I sure do cook with one and I love red! The green-it matches my kitchen! I would love the red one 🙂 Use my old slow cooker all the time! Thanks for the chance! Yes, I love cooking with a slow cooker. I just got my own apartment and have no kitchen appliances. I haven’t used a slow cooker but I’ve wanted one for awhile. I would love the blue one! Thank you for this amazing giveaway and the chance to win! I used to have a slow cooker and used it often. I have been shopping, but I need one. I would pick Lime Green. I love the red one. I use my current slow cooker frequently! I am loving that purple color!! I do use this on a regular basis. I mostly make beef tips or a roast and you are right, it makes things so much easier! It worked great when I was working out of the house too. I would come home from work and just have to boil some noodles and the beef tips would be so tender and ready to go. I would love to have a new one, mine is on it’s last leg!! I have an old slow cooker missing its knob lol,that shows how much we use it both at home and to take to guys tv nights and extended family dinners.Id love it in the red because thats my homes accent colour but that green is quite nice too. I love the orange color. & I currently use my slow-cooker but not as much as I would like. 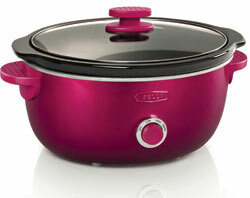 I really like the Purple Bella Dots Slow Cooker. 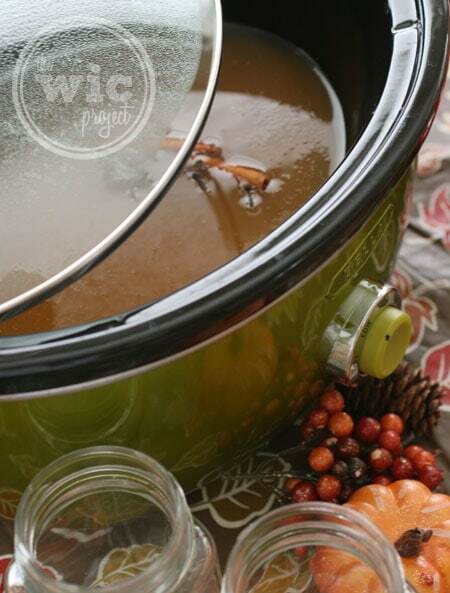 I love to cook with a slow cooker especially during the fall and winter. The green is my favorite! Oh, and I forgot to add – I use my slow cooker all the time. I love it, and it’s so easy! I like the green slow cooker! I use my slow cooker from time to time. I love my slow cooker, but unfortunately the lid is broken. I would love to have one of these in red. I love the green slow cooker. I have a slow cooker, but it’s quite old and doesn’t work well. I like the green one (although the pink is a very close second). I do use a slow cooker, and I need to dig it out and start using it! Thanks for the reminder. They are all brilliant colors, this is a style I am wanting in my Kitchen and have been shopping around for all of these things!…if I do not win am definitely buying all of their appliances, would have to go with red since it matches the colors I am using for my walls, thanks! I do own a slow cooker, have had it for 10 years lol, the ceramic is cracked though, so been searching for a new one. PINK!!!! It’s totally my color! And no, sadly, I do NOT own a slow-cooker currently, but would love to. I have a whole collection of recipes just waiting for the right cooker! lol! I love the red one and yes, I have been using a slow cooker more and more. With three kids under 5 and one on the way, we are so busy with activities and preschool, it has become a necessity more than anything else! I like the purple ,beautiful color .Yes I do have a slow cooker that is old as the hills,needs replacing . I like the teal blue clolored one. I do not use my crock pot as much as i used to . I love the pink one! Yes, we use ours all the time, but could use a new one, the handle just fell off on ours. I love the pink one and I cook in a slow cooker all the time!! I like the purple one and my slow cooker is very old. Red or blue, and I LOVE my slow cooker so much I want another one! I love all of the colors but the white or gray would go best in my kitchen. I used to use my slow cooker all the time, but I no longer have one. I love the purple one!! I LOVE cooking with a slow cooker so yes I use a borrowed one at this time! I love the green. I use my slow cooker at least once a week. I really like the green and yes I use a slow cooker often. I like the blue one and don’t have a slow cooker. I like the red slow cooker. Yes I use a slow cooker. I love the green one and I love to use a slow cooker! I like the purple one because that is my daughter’s favorite color. I love the green one! I have cooked in slow cookers for years…. great fall/winter cooking!!!! I love the red one and I love cooking with a slow cooker. Mine is super old, I could use a new one. Thanks for the chance! I would like the Teal blue one! It sure would go with my color scheme in the kitchen! So cute, love to have color choices!!! I like the blue and yes I use a slow cooker. Pink!!!! Yes, last night we had slow cooker meatloaf and slow cooked bacon chessy potatoes! Yum! I like the red. I do not have a slow cooker but I would love to own one. I LOVE the pink one. And, I love slow cookers becdause they enable me to cook a hot meal for my husband while I am at school. So easy! I like the Green One! I like using slow cookers but this one looks better than the one i have so I’d love to try it! blue, no I don’t so this will be good to have. I love the teal blue. I cook in a slow cooker, but mine is really old, it used to be my grandmothers. I use it to cook chili, beef stew, and pot roasts. I like the green slow cooker. I cook with my slow cooker quite often and would love to have another! I like the pearl white color. I don’t own a slow cooker, but I would enjoy trying one! I would like a purple one and I one almost daily. I like both the pink & green colors. Yes, I use a slow cooker often in the winter months. thanks! I like the red and I use my slow cooker a LOT. Yes, I do use a slow cooker. I like the blue one. I like the purple one (second choice, the blue). I don’t use a slow cooker, but friends do and I want to try. I like the purple one and I do have a slow cooker but its white. I don’t currently use one. I love the green one! I don’t have a slow cooker unfortunately! Yes I do love the green one in this post. I us a slow cooker all the time and esp. for Sunday lunch! I’m in love with that green!!! I love the Lime Green color. I love the pink. We used to have a slow cooker but it broke, and we haven’t used one since. I love the pink one and yes I cook with a slow cooker absolutely love it! I do not currently cook with a slow cooker but would love to. I like the red one! I don’t cook with a slow cooker yet, but I would. The pink is cool! We sometimes cook with a crock pot! I’m with you…I love the green. And yes, we use a slow cooker quite a bit! I currently have a very small one that I have recently started using. I would love the green one. The green one would match my kitchen decor. I do have a slow cooker, but it is so old that the warm & low setting both cook on high, so I have not used it in years. I like grey and I LOVE cooking in a slow cooker. The Green and Grey are my favorites. And yes, we use the crock pot.. for chili, pulled pork and roast. I love the Green one! I don’t currently have a slow cooker but would love one! I believe I would choose the pink one. Yes I use a slow cooker. Thank you for the opportunity to win one. I would love the green one to match how i plan to remodel my kitchen. 7o’s green with the owls and the whole bit. Oops, forgot this part: I currently have a stainless steel one that I use on occasion. Yes, but it is old, i got it at a garage sale years ago. I love the teal one! That’s my favorite! I’d love the purple one! I like blue and purple. I do currently use a slow cooker and I do so love how wonderfully easy they are to incorporate into your cooking life. I am making butternut squash soup in my slow cooker as I type. I would LOVE a second slow cooker though! 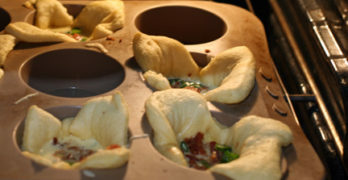 Plus, these are probably the coolest slow cookers I’ve ever seen. I love the green but since my kitchen is that color I would want either the orange or purple for a pop of color. I use my current slow cooker at least twice a week. Thanks! I like the green, purple, and blue ones. So hard to choose! I have a crock pot, but need to use it more often now that I’m working 10-hr days. I really like that green color. Reminds me of split pea soup. I do have a slow cooker but I was about to buy another one. I like the purple one. I would love A blue one! I haven’t used a slow cooker in many years.It was given away to charity when we moved. I like the red color. And slow cooking is about all I do. I’d choose purple – and no, I don’t currently own one. I do currently cook with a slow cooker! I don’t own a slow cooker, would love to win! I have a very OLD crock-pot, so a new one would be a blessing. I love the green one!! I do not have a slow cooker, but I would love one! I would definitely use it! I like the pink one best! Thanks! love the green one, and yes i use my slow cooker all the time! I would LOVE LOVE LOVE the pink one shown at the top of the post!! And yes, I do cook with my slow cooker but it is OLD and a 3 time hand me down so it is needing replace badly! People seem to think because I’m a stay at home mom I have all the time in the world to slave in the kitchen all day…..well I don’t! So, my slow cooker is a LIFE saver! I love the pink one and I do cook with a slowcooker! And love it! I like the black one. I use a black one currently. I love the pink one!!! Yes I cook with a slow cooker. I like the pink one and yes I use a slow cooker. I like it in orange. I used to cook with a slow cooker but it broke. I have been wanting a new one! I like the purple. We don’t have a slow cooker that is big enough to cook for all of us. I would love a big one! I’d love the purple one! I have a football shaped slow cooker. What color BELLA Dots Slow Cooker do you like the post? Do you currently cook with a slow cooker? I love the magenta colored one! and yes I use my crock pot ALOT!!! I like the pink but I think my hubby would prefer I get a green one :). I cook with a slow cooker all the time! I like the green one! It is so unique! I like the lime green one. I love the blue color! Yes, we do use a slow cooker now! It makes so many meals so easy and everyone enjoys the slow cooker meals! I have two and love it but would love a blue one! I like grey and yes. I love the green one and yes I do use a crockpot to do some of my cooking! I would want the purple one. And I do use a slow cooker all the time to cook. I like the red slow cooker. I cook occasionally in a slow cooker – my husband cooks in a slow cooker all the time. I love the green one and yes I do use a slow cooker. I love cooking with a slow cooker – I would choose red. Red! And I use a slow cooker mainly when I have parties and people over. I like the teal blue. Thanks for the giveaway. I liked the blue color. Love the green cooker. I use a slow cooker at least once a week. Pearl White would look good in my kitchen. I use a crock pot all the time! Blue and yes I do use a slow cooker, frequently in fact. I would love the green one. I use my slow cooker all the time. Perfect for these cold fall nights. Go with the Pearl White! Would look great on the black countertop! And YES! Have a slow cooker, but need another! I love to cook for groups and one just isnt cutting it anymore! This new slow cooker is amamzing, I would love to win one! I like the pink one, I love crock pot cooking. PURPLE is Awesome!!! I have a boring white one now. Raspberry Pink and the purpleso pretty. Purple; I have never used a slow cooker. Blue, and I have hardly ever used a slow cooker. The green would go great with our travertine counters. Oh, and we use a crockpot all the time. Used to have two going at once often…until one burned out. Oh my gosh, It has to be the pink one!!!! i love the green ! i use a crock pot currently! I use my slow cooker alot…that’s why I need a new one. The pink one is so pretty! i would love the purple one its looks awesome!! Thanks for the giveaway!! I use slow cookers when i have parties!! I have been looking at getting a new slow-cooker, would love to get this one. i work in a high school lunchroom,so when i get home i sure don’t want to cook,i use my slow cooker to cook a lot of meals,so all i have to do is make a salad for supper,i love the green one it really stands out. Love the pink, and love meals from a slow cooker. Love these colors and would love to win one!!! Thanks for the chance. I do not have one but really want to! I like the red one & yes, I have a slow cooker & it gets lots of use!! i use a slow cooker all the time but mine just recently broke. I like the Pink one. I like the green one that is shown above. I love the hot pink color. Very cheerful! I have an old rival crock pot I use several times a month. It works, but is rather ugly. I use a slow cooker once or twice a month. I like the Orange one. The purple one, love my slow cooker, but it is ancient! This one time at band camp.. oops wrong story. Ok this one time I’m living in a not so nice place. I got broken into, really they kicked in my bathroom wall. Took everything, (not that I had much) except my slow cooker. I spent an entire summer eating slower cooker meals and enjoying the view of the wild weeds in the abandoned lot behind my house, as I showered in the mornings. I would like the pink one and yes I do have a slow cooker already that is about 12 years old. I love the Blue color, I do currently cook with a slow cooker. I prefer blue. I use the slow cooker once a week. I love the purple and I love using a slow cooker, it’s so easy, set it and forget it. I really love the Pink BELLA Dots one! Looks so beautiful! Yes I use a slow cooker at least weekly. My lid just broke and I am in need of a new one. I would also choose the green one. I haven’t cooked in a slow cooker for a few years. I cook almost daily in a slow cooker and I love love love the hot pin/purple one! I’ve got a serious thing for Orange and I love Crock Pot cooking! I like the green one and I have an older slow cooker. I use a slow cooker routinely, and like the Bella in blue. the purple one! We use a slow cooker at least once a week in the winter. Would love one in purple! forgot to answer the second part of the question. I have one, but it sadly broke last time I was cooking with it. It was a very old one that used to be my grandmother’s. I love the purple one…yes I have and use a slow cooker many times a week!!! I like the pink. Yes, I do use a crockpot. I love the green one – I use my slow cooker all the time! I like the green one! I personally do not cook with a slow cooker because I do not own one, but I actually have a lot of precipices I would like to try if I had one. I would take purple to match the rest of the things in the kitchen – the toaster is on my XMAS wishlist! I do use a slow-cooker. I love the purple one! I use my slow cooker all the time…to the point that I really do need a new one! I would love the Pink BELLA Dots Slow Cooker and yes, I do use a slow cooker sometimes, would use it more if I win.. I like the pink slow cooker and yes, I Love cooking with a slow cooker! I love the pink slow cooker and I would love to win one because our slow cooker just died. I love the pink one. And I love cooking with the slow cooker. I like the green one. I cook with a slow cooker all the time. I like the pink and I cook with a slow cooker frequently. I love the pink, and now with the colder weather, I cook a lot with the slow cooker. I would love to have the purple or green Slow Cooker. I have an ancient Crock Pot that I inherited from my mom. It is definitely time for a new one. I like the pink one, and I used to cook with a slow cooker all the time when I had one. i love the green! this is a wonderful product!! I like the pink slow cooker. I cook with a slow cooker at least once a week, they are so convenient. Wish mine was as nice to look at as Bella Dots! Thanks for the giveaway…we like the green color. Do not use a crockpot…yet ! The purple is my fave. Sometimes I do cook with a slow cooker. I like the blue and I don’t use one because I don’t have one. Would love to win! I love the red one. I used my grandmother’s slow cooker until it broke a couple months ago and boy do I miss it. I love that green one too! I forgot to say that I do not use a slow cooker, because I do not have one. 🙁 I certainly would use it if I had one though!! I like the pink or teal slow cooker. Yes, I use a slow cooker all the time. I like the pink one. I use slow cookers but not enough. So hard to pick a color….I like pink, green, and purple. Maybe I need to get one of each, because I love cooking with a slow cooker! I like the pink one. I don’t have a slow cooker but quite like my big dutch oven pot. I do use a slow cooker and I love the pink! Pretty colors. I would choose the red one. Thanks! I like the blue – thanks! I don’t have a slow cooker, but would love one! I like the purple slow cooker. Currently I use a reallly small crock pot. I like the red one. I have one that I use once in awhile but it’s one of the older ones where it’s painful to wash so I don’t use it that often. Yes, I use a slow cooker frequently. I would just love love love a pink one to go with my kitchen. I use a really old one now, but I use it all the time, at least twice a week. I like the red one. Yes, I cook with a slow oooker. I like the grey one and I do have a really old cooker. Pink, Purple, or orange! I love slow cookin’!